As Raleigh Divorce Attorneys for over a decade, The Doyle Law Group, PA offers outstanding legal representation from experienced divorce lawyers for an honest and reasonable fee. We represent Clients facing separation, divorce, custody, support and any other family law challenges. We represent people in negotiation and drafting of Separation Agreements, Mediation, Settlements, and in contested litigation. We offer simple flat fees for certain document drafting and transactional work, and we offer reasonable fee structures for all divorce and family law negotiation or litigation representation. OUR FEES. Our process is simple: Meet with our attorneys, discuss your case, tell us about you, your case, and your goals. We listen and give you our opinions, discuss your options and discuss the cost involved with each option and contingency. Typically in contested matters we can give you a range of where your legals fees will fall based upon our years of experience and you choices, however an exact quote is not possible at this stage. If you then wish to retain our services, we offer an affordable fee structure that allows you plan for and afford representation, even if you are not able to quickly settle your case. If you do not wish to retain our services or are not ready to make a decision, your are never pressured, and you can go home and with the benefit of knowing the law, having a plan, and will be in a place to make good decisions all for a very small investment. Representation by one of our Attorneys is expensive, however we offer a very reasonable fee structure that allows you to make choices about your representation at the outset so that you can ensure its affordability. Take this time to ask questions, discuss your case, your goals, and where you want to be. Our attorneys will provide you with their opinions about what you should consider doing, and the potential legal fees involved. Once we know what you want and what you need, we will begin the discussion of a payment schedules that we utilize to help make great representation affordable. Our Raleigh divorce lawyers are here to help you ensure you do not pay for services you do not need and you have representation until your case is concluded. Be very wary of initial fee quotes from anyone who does not really know your case or what you want because chances are that fee is small starting point fee that almost never resolves your case. Meeting with a divorce attorney is a must before you consider hiring a firm to handle your divorce. When you are searching for your divorce attorney, make sure you consider your needs before selecting representation. You want an experienced divorce lawyer with the talent and ability to help you through your divorce case. You need a divorce lawyer you relate to and whom you trust. You need to not only know what the initial “RETAINER FEE” or beginning cost is, you need to discuss the entire case, options and potential total fees. No divorce lawyer can know what representation will cost until they have an understanding of the case and your goals. If 1-5 are true, you must have a real consultation and meet with any divorce lawyer before you hire them. If you need to speak with an experienced divorce attorney, please contact us at (919) 301-8843 or use our contact form. How Do You Pick the Best Raleigh Attorney for Your Case? After you have considered your needs, then the time is right to select your lawyer. 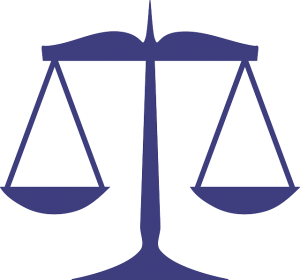 Below are a few tips about choosing the right attorney and legal fees. 1. Choose the Right Attorney. What kind of divorce lawyer do you want? Many people think they want the most obstinate, hateful and difficult human being with a law degree to represent them in a divorce case. Be careful what you wish for. Hiring a fire breathing, overly emotional attorney can cost you more and often lead to poor results. I believe that all Divorce Lawyers should aggressively represent their clients, however that trait can be dramatically over sold. All divorce attorneys are aware that many people facing divorce are in a vulnerable and emotional state. Many want some form of revenge or at a minimum to inflict some damage on their spouse. It’s human nature. Some divorce attorneys play into those emotions consciously or unconsciously in an effort to convince you to hire them and ultimately spend more money. Beware of the attorney that focuses too much on destroying the other guy and not enough on the results you actually want to achieve. Your divorce lawyer should counsel you not only on how to fight, but also how to avoid fighting if there are ways to get what you want without a nasty and expensive trial or court proceeding. In the end our clients will choose the path we take but know going in that the more you fight, the more you pay. Do not hire an attorney based upon whether or not they share your anger at your spouse because in truth, they do not. The fact is they represent people just like your spouse all the time, and if your spouse had consulted with them first they would be acting as though they were angry at you. Choose an experienced, measured attorney, with actual trial and negotiation experience who talks to you about achieving your goals both in and out of court. Your lawyer is there to help you make good decisions, not just decisions that feel good. 2. Educate Yourself About the Law. This does not mean try to become a divorce lawyer yourself or regularly second guess your attorney’s legal opinions. What I mean is that you should learn the basics of divorce law so that you can understand in a basic way how it works. For example, Equitable Distribution (property division in North Carolina), means that, for the most part, property acquired during the marriage and prior to the separation is marital and subject to being divided by the Court between parties. This includes assets, debts, retirement and pretty much anything else you earned or acquired during the marriage (there are exceptions and there is much more to it, but this is the basic way it works). More often than not, the division is equal but can be unequal in some cases. Now, knowing that, you are less likely to insist that you receive 90% of all the marital assets(in terms of value) in order to settle your case and avoid trial. Additionally, you will know that if your lawyer is suggesting you go to trial with the hopes of receiving 90% of the marital estate, then he or she may be providing with you with bad and expensive advice. Of course other factors can give you more leverage or influence on how you handle one aspect of your divorce and in some cases such demands may be reasonable for example if you are waiving a valid alimony claim in exchange. The point however is that you really should learn enough about how divorce law works to gain a basic understanding and make solid, realistic decisions. 3. Compromise When You Can. Negotiating realistically and in good faith will save you money in almost every case. 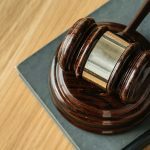 If you go into your divorce thinking it is your way or the highway on every subject, and believe that the Judge is going to rule in your favor on every count of every claim after you tell your story, then know at the beginning that you are going to be paying tens of thousands of dollars to your lawyer. I am in no way suggesting that you start “giving in” on important points as soon as any negotiations starts, but know that without some reasonable compromises, you are not going to settle anything and you will likely wind up in court. Sometimes the decision to go to trial is absolutely the correct one, however sometimes its necessitated by stubbornness, bad legal advice, anger, or a combination of all of these issues on one side or the other. Any good divorce lawyer will assist you in formulating a negotiating strategy that will achieve the reasonable goals you and your lawyer should work together to set. But just understand, if you insist on getting the better of your spouse on every single issue in negotiation, you are going to spend considerably more in legal fees, risk an unnecessary trial, and likely wind up in about the same place you would have been had you negotiated reasonably in the first place. Hire an experienced divorce attorney with a balanced approach, and let he or she guide you with regard to what is likely to happen if you were to go trial and work from that basis upward to get a good settlement, but avoid stubbornly sticking to unjustified and unrealistic demands (if the other side is being at all reasonable) as that will guarantee that you wind up in court and cause your legal fees to sky rocket. 4. Budget Your Case. When you are researching divorce attorneys, should you favor one that charges say, $400 an hour versus one that charges $200? Surely the one that charges $400 is “better”? You would think so, at least in some way. The fact is that an experienced divorce attorney charging $400 is much less likely to be a poor or unqualified divorce lawyer, but does it matter if you really cannot afford this attorney? I have seen many clients who are left scrambling after their extremely expensive attorney withdrew from their case after plowing through a $10,000 retainer in a couple weeks of analyzing the case and in preliminary negotiations. It may be that if your case was fairly simple, another lawyer could have taken your case to trial or arbitration for a similar amount and you could have been finished. To put it another way, do not hire someone that you know you cannot afford, regardless of how good they may be. If a five or ten thousand dollar retainer was incredibly difficult for you raise, and you are not sure you will be able to raise another one, you really should think very carefully and discuss this fact with your attorney before you hire them. Most attorneys will be straight with you about how much your case is likely to cost, so have a frank, realistic discussion about your options and the best way to RESOLVE your case with the money that you have or can raise in the future. As a Raleigh Divorce Lawyer for over 14 years, I have learned to do some financial planning and budgeting with my client’s early in the process because what clients need is resolution above all else. 5. Make Good Business Decisions. Divorce law typically involves any combination of three potential areas: alimony (spousal support), equitable distribution (property division), and child custody/child support. Two of the three are, at the end of the day and in the eyes of the law, about money more than anything else. These claims do not exist to alleviate grievances or make life “fair,” although fault and misdeeds do come into play in a limited way. 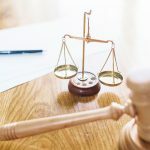 The best way to think of alimony and equitable distribution resolutions is to consider whether or not taking a deal or going to trial makes economic and financial sense. Your divorce lawyer can advise you on the risks of trials, the various possible outcomes and the possible rewards of a favorable result in court. They should also provide you guidance with a range of how much you can expect it to cost you in legal fees. Then it is up to you to make an informed decision. Try to take emotions out of the equation as much as possible. In any case, remember that court is never a sure thing, and while sometimes it is well worth the risk, you should always carefully consider all of the possible outcomes in deciding what to do. Can I Be Ordered To Pay My Spouse’s Attorneys’ Fees?